I floundered to think of any other way to embark the year 2016 & my 101st blog post. So I am initiating my year with something I lusted all along 2015. And I wanted e.v.e.r.y.t.h.i.n.g Cruelty-Free. I was lovestruck with these... 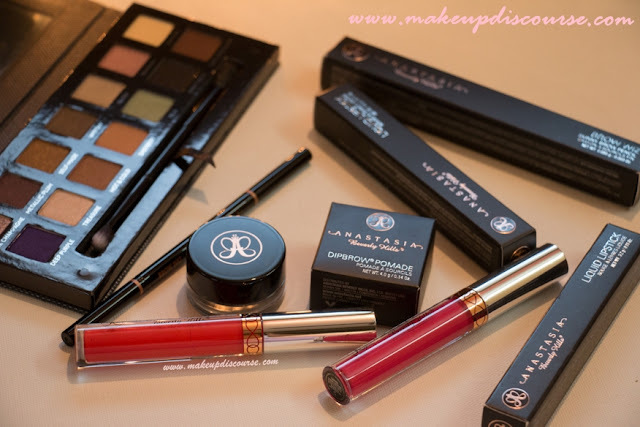 Liquid Lipsticks! 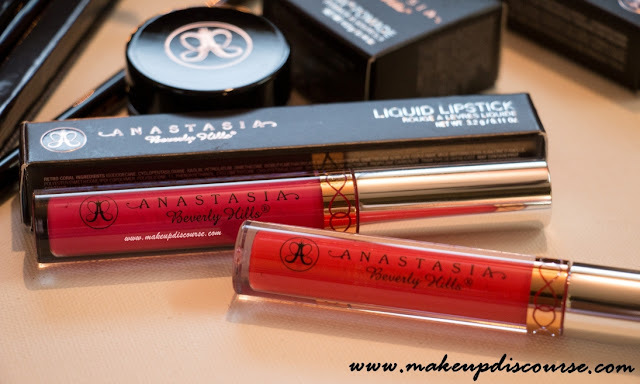 Anastasia Beverly Hills Liquid Lipstick Carina is Macy's Exclusive could not even locate on the brand website. These aren't available on Sephora either. And Macy International don't ship them. Taken together, It is pretty hard to get hold of these. But the Liquid Lipsticks are gifted! The Palette, Brow wiz, & Dip Pomade are from Sephora. Though the Palette is out of stock everywhere now. I am excited to create infinite looks with Self-Made, the colours are admirable. I solely picked this for the incredible colours. Swatches, Review and Looks will be up soon. I haven't even opened anything yet, let alone first impressions. I see myself using these pretty occasionally or so I think! 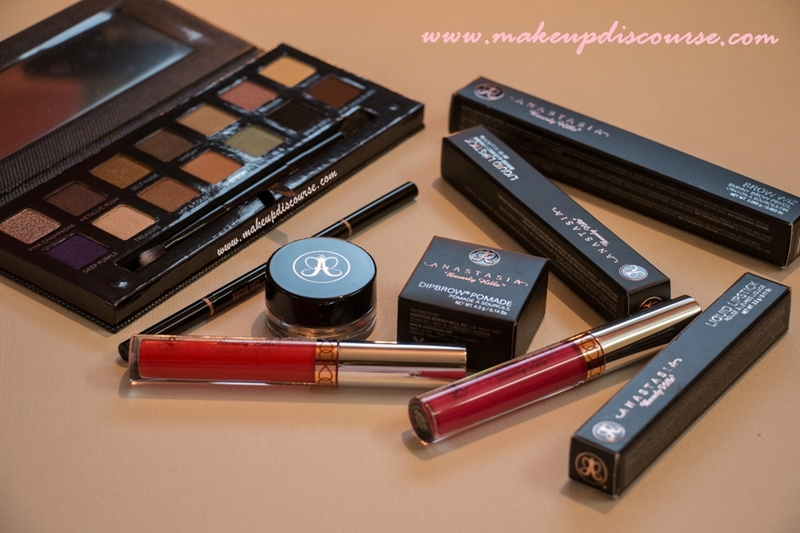 Anastasia Beverly Hills will be my momentous indulgence!